Mikaila Ulmer is an 11 year-old girl who is making quite a name for herself, and for honeybees. The Texan child entrepreneur just negotiated a million dollar contract with Whole Foods. The natural food conglomerate will be selling Ulmer’s BeeSweet Lemonade, an all-natural beverage made with 100% fresh-squeezed lemon juice, flax seeds, mint and Texas wildflower honey. Ulmer donates a portion of her profits to organizations that are fighting to save honey bee populations, and she’s now making quite the buzz around the business world. After appearing on the television series Shark Tank last year, Ulmer secured a $60,000 investment from FUBU CEO Daymond John. Just one year later, her lemonade business has really taken off, landing a million dollar contract with America’s largest natural food supplier. BeeSweet lemonade will now be available in 55 Whole Foods stores across Texas, Oklahoma and Arkansas, Louisiana. Ms. Ulmer was most recently featured as the celebrity chef of the 2016 White House Easter Egg Roll. It’s wonderful to see her sweet success recognized by the world, and we can’t wait to see what’s next for her. When life hands you a bitter lemon, find a good beez'ness partner and make a sweet deal! Mikaila Ulmer is one 9 year old girl making quite the name for herself, and for honey bees. The child entrepreneur just negotiated a million dollar contract with Whole Foods. 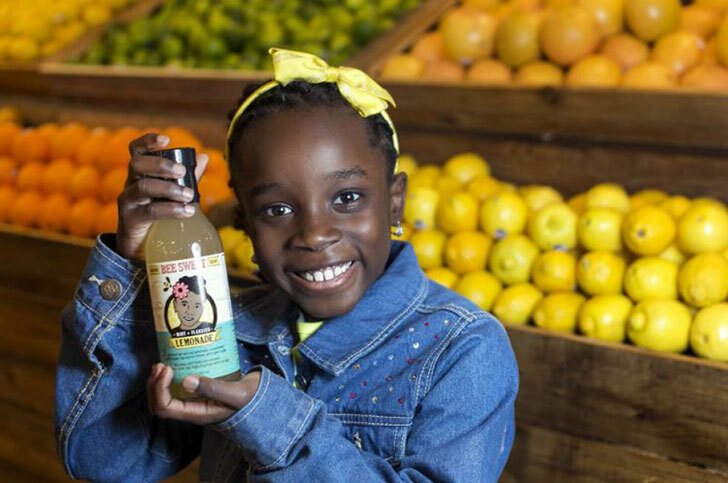 The natural food conglomerate will be selling Ulmer's BeeSweet Lemonade, an all-natural beverage made with 100% fresh-squeezed lemon juice, flax seeds, mint and honey. Ulmer donates a portion of her profits to organizations that are fighting to save honey bee populations. Her sweet success is making quite the buzz in the business world.